Chelsea are reportedly holding talks now with Atletico Madrid over a transfer that will see Alvaro Morata leave Stamford Bridge and return to Spain. The 26-year-old has majorly flopped in his time in the Premier League, scoring only 24 goals in 72 games in all competitions, and just 16 in 47 top flight matches. 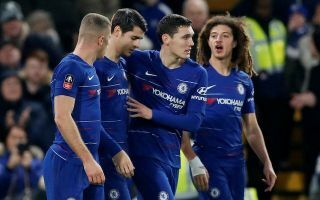 It looks vital for Chelsea to sign a top class replacement up front as soon as possible, with plenty of big names linked with the Blues this January. However, according to journalist Pipe Sierra, it’s not exactly looking promising for CFC at the moment as Morata holds talks over a move away, but with no replacement signing yet close. Not at all. The situation with Higuaín is difficult. As seen above, Sierra tweets that Morata’s representatives are holding talks now, with what looks like many of the details on the terms of the fees sorted out. Of course, things might still fall through, but with the Evening Standard suggesting Sevilla are now out of the running as Sky Sports also link the player with Atletico, it seems things are moving very much in one direction. When asked about a replacement for the Spain international, however, Sierra replies that the possible signing of Higuain is ‘not at all’ close, and a ‘difficult’ situation. If Chelsea end up losing Morata and not signing anyone this winter, they’ll be in an absolute mess of a situation in the second half of the campaign. While getting a flop striker off their books is a good idea, to do so without having any kind of backup plan would be truly disastrous, with Olivier Giroud on his own surely not enough to lead the line for the club for the next few months.